Pritzker Prize winner Eduardo Souto De Moura unveils a brick-and-concrete, mixed-use building in Washington, D.C.
Pritzker Prize–winning architect Eduardo Souto de Moura has unveiled plans for his first building in the United States, a five-story, mixed-use building to be built in Washington, D.C. 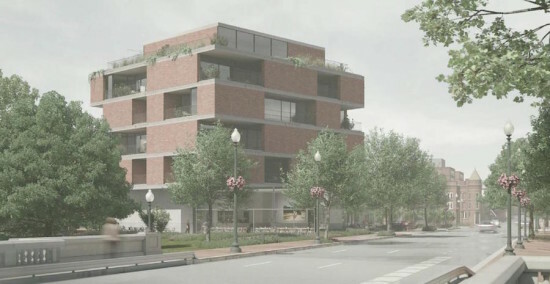 The Portuguese architect is working with D.C.-based development firm EastBanc on the The site, 2715 Pennsylvania Avenue NW, currently houses a small brick gas station at the intersection of two prominent streets forming an entrance to Georgetown. "This site needed to be done," stated EastBanc president and founder Andrew Lanier. "It’s the entrance of Georgetown. I think it’s one of the most important sites in the city, and it shouldn’t be a gas station.” EastBanc purchased the property for $4 million last March. Souto de Moura faced a number of obstacles in designing the structure in his classic "neo-Miesian" style, among them the city's 130-foot height restrictions, the lot's tiny footprint, and the intent to preserve Georgetown's historic character. The building ultimately would stand 60 feet tall and include eight 2,000-square-foot residences. Souto de Moura chose red brick to blend with the materials of the historic neighborhood. The building's blocky form takes on the appearance of shifting, stacked-up red-brick blocks with glass terraces in between, lending a "positive and negative" rhythm to the facade. The deep-set terrace windows allows more privacy for residents. "Their vision for the site has been not to make a big glass box that lights itself up," Eastbanc Vice-President Mary Mottershead said in a recent interview, "but sort of a quiet building." A 70-seat restaurant housed in a delicate glass box set in a landscaped garden slides jauntily beneath the sturdy brick-and-concrete building's ground-level cantilever. According to a local news report, the project must still make its way through the Zoning Commission and the Old Georgetown Board. A groundbreaking date has not been set. 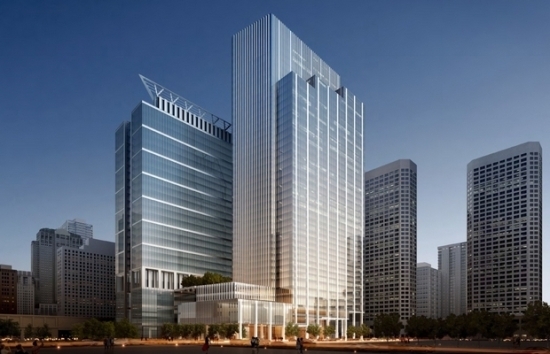 Local real estate and investment company Zephyr has named Joseph Wong of Joseph Wong Design Associates (JWDA) lead architect of their 60,000-square-foot mixed-use development planned for downtown San Diego. 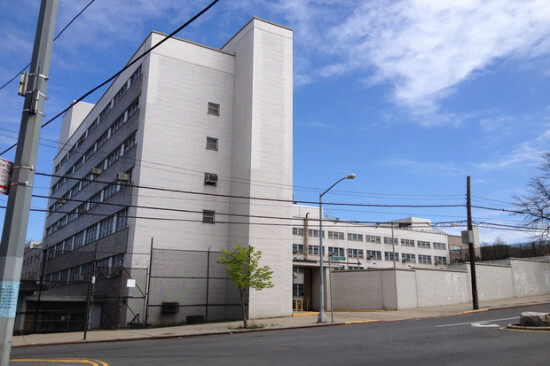 The Block, as it is currently known (the developer has yet to select a final name), will be the first high-rise, mixed-use project in the city since the recession. With an estimated cost exceeding $250 million, the development promises to be a major player in the demographic and architectural transformation of San Diego's urban core. 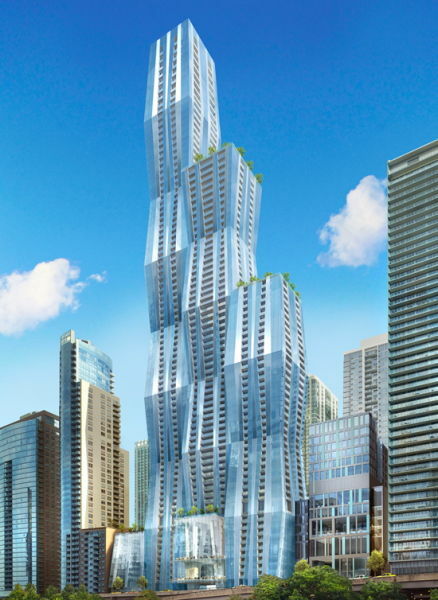 Wong's design features two towers, 21 stories and 41 stories, respectively, rising from a residential and retail platform. 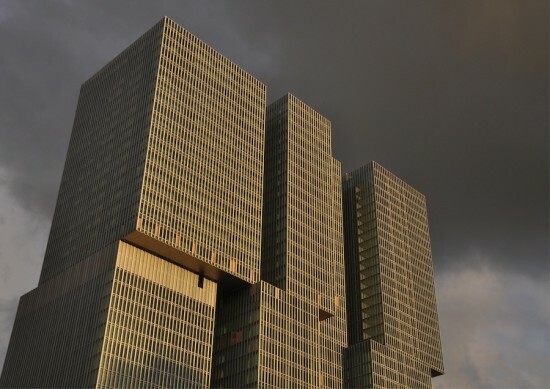 According to the architect, the towers' siting and massing were influenced primarily by local conditions—including setback requirements and the creation of a sun access envelope for a planned public park to the northeast—as well as a desire to maximize views and daylighting. For the facade, said Wong "we thought about not just the context, site circumstance, its history, and surrounding buildings, but also about the longevity of the project and what it could be." The combination of glass of different transparencies and metal panels in a variety of colors helps distinguish the development from surrounding office buildings, while the clean lines and minimal material palette prevent the towers from feeling bulky. Residential balconies project from the glazing in an alternating pattern that highlights the corners and other points of significance, creating, said Wong, "a rhythm of form and function." While some of The Block's features, including a 25,000-square-foot "amenities deck" designed by Lifescapes International, are reserved for private tenant use, the project's street presence evinces public-mindedness on the part of both developer and architect. "Downtown San Diego is red hot and continuing to get better every day," said Zephyr co-CEO Brad Termini. "We hope to play an important role in providing a link between the Gaslamp Quarter, the financial core, and the emerging East Village." 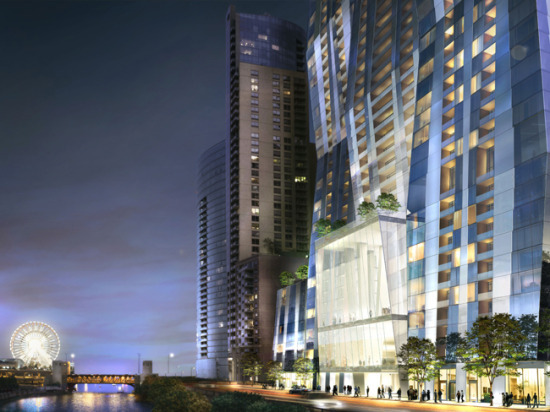 For Wong, the need to mediate between existing high-rise developments and the burgeoning residential fabric was a major factor in the design. "It requires both a visually striking architectural presence in the downtown skyline, and a decidedly pedestrian-friendly approach to its neighbors," he said. At the ground plane, the formal push and pull of the podium, which features two levels of retail on every side, encourages social engagement. Meanwhile, a 15-foot setback along Broadway combines with the 14-foot pedestrian sidewalk to create a south-facing public plaza and eases access to public transit facilities to both north and south. 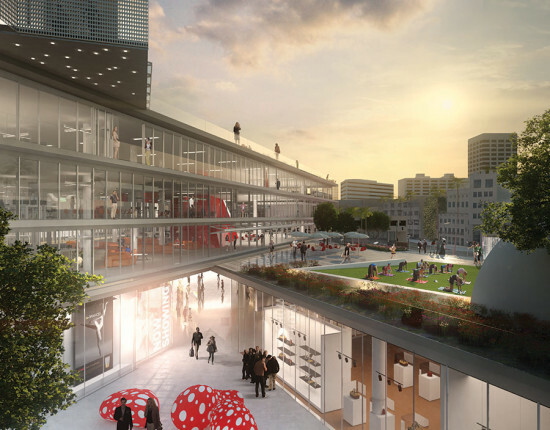 "By creating opportunities such as a public plaza, retail and commercial space, and recreation areas throughout the ground floor, The Block promotes [walkability] for both the community as a whole and the individual user. 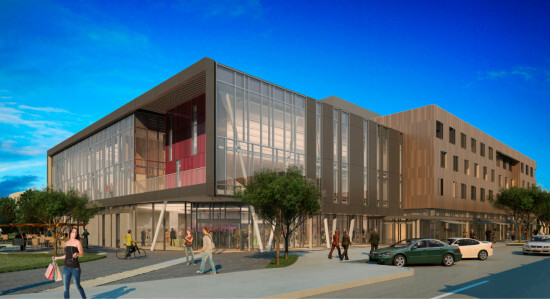 Its prominent location further encourages accessibility to neighboring sites and vice versa," said Wong. Wong, who describes The Block as a "milestone" development for JWDA, thinks of it as "a project that defines urbanism in every sense." "The design opportunities of this project are many, and ultimately have to do with the future architecture of our cities," he concluded. "We're creating an urban design that contributes to social interaction and addresses the relationship between public and private space." The future came into focus last week for the site of a defunct mall in downtown Columbus, Ohio. By the time City Center mall closed in 2009, only its parking structure remained a popular destination. 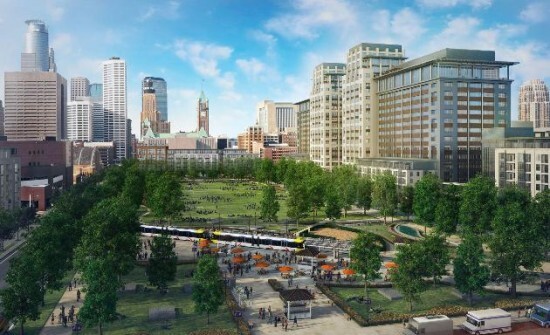 Columbus Downtown Development Corporation replaced the dead mall with Columbus Commons, a nine-acre park slated for mixed-use development over the coming years. 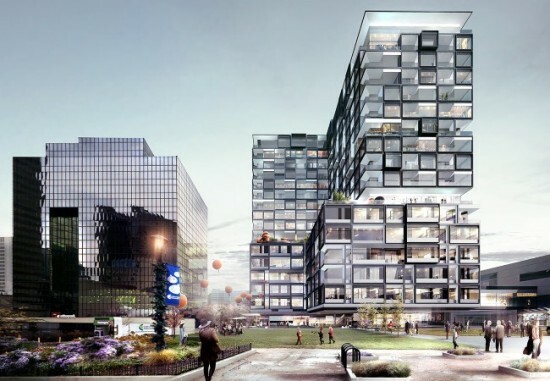 Renderings from NBBJ, published March 25 in Columbus Underground, show the latest phase of that project: a modern, 17-story mixed-use tower that developers The Daimler Group and Kaufman Development are calling Two25 Commons. Another NBBJ tower dubbed 250 High is already under construction on the south end of the Commons site, set to rise 12 stories. The new building will have 20,000 square feet of ground floor retail, 125,000 square feet of office space across five floors, and 11 stories containing 170 apartment and condo units. 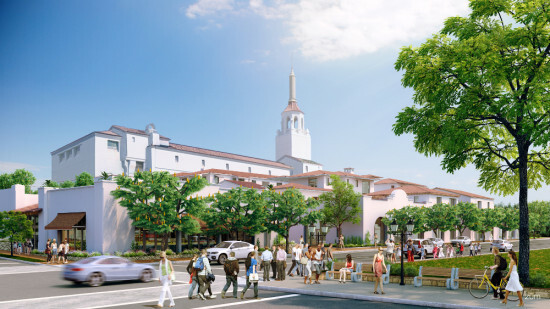 It will have underground parking and a connection to the existing parking structure via a new pedestrian bridge over Rich Street.